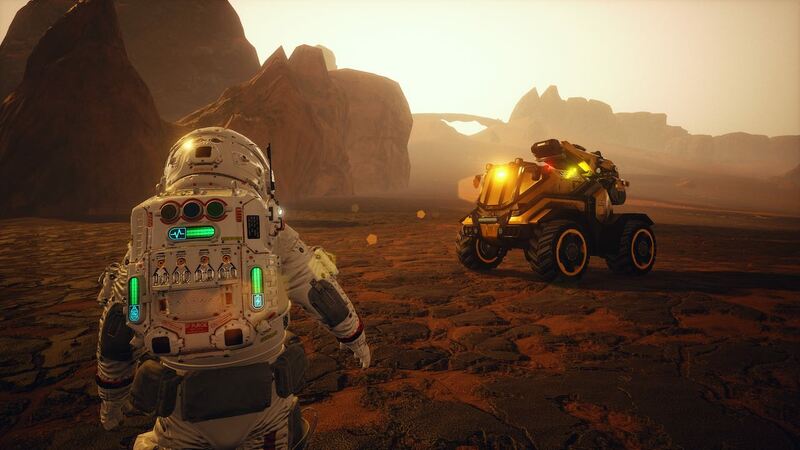 Atomicom has announced that JCB Pioneer: Mars is now available on Nintendo Switch, a Mars-based survival sandbox game where you wake from a crash. Surrounded by the wreckage of a Lander vehicle, your immediate goal is to survive – locating an oxygen supply and creating an outpost. You will start to establish yourself on Mars, learning to deal with the planet’s hostile weather patterns while starting to colonise it. Life-support infrastructure will be crucial as is mining natural resources, as you work to save an ailing Earth. There are also meteor strikes, dust clouds and electrical storms that will threaten your chances to succeed, and you will come to rely on futuristic, heavy-duty construction and mining vehicles that have been specifically designed by JCB Engineers. The Nintendo Switch port has built on the original Steam release, the developer working to address user feedback in adding new content and improvements such as a huge increase in performance, new and improved UI, new tools, refined gameplay and more. “We’ve taken the time to really think about how we can bring the game to the Switch market,” explains Atomicom designer Tamsyn Hastings. “We’ve made drastic improvements across the board; refining playability and in-game experiences, implementing new explorable areas and mechanics which allow us to show more game depth than the original early access release. We hope these improvements will give players a deeper more expansive and fulfilling gameplay experience”. JCB Pioneer: Mars is now available on the Nintendo eShop for Nintendo Switch in Europe priced at £19.99 (€22.19), and will release in North America on 3rd January 2019 ($24.99).